“This city is a pleasant abode”, said Catherine the Second on May, 20 (on my birthday!) 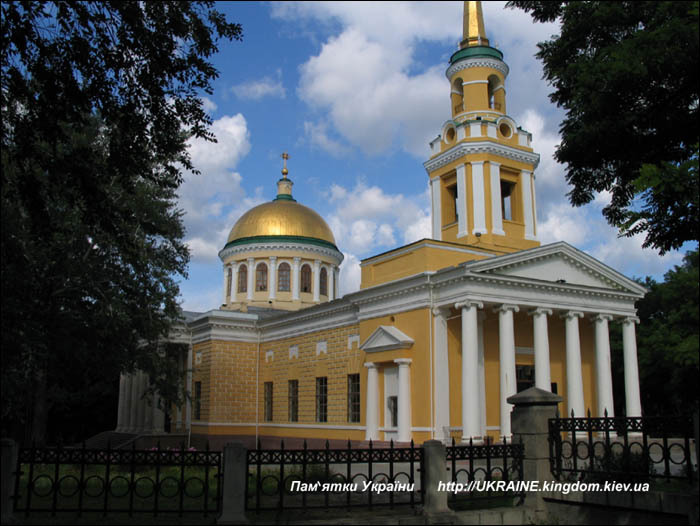 in 1787 and placed first stones in the construction of new city Katerynoslavl, later called Dnipropetrovsk. She did it together with Emperor Joseph the Second and her councilor, the second-hand in the state and military affairs prince Potyomkin. The French ambassador Segur was writing in his memoirs as following: “On May, 9 Te Deum was celebrated in the tsar’s marquee, and sovereigns in the presence of archbishop started construction of new city in the very picturesque surroundings”. 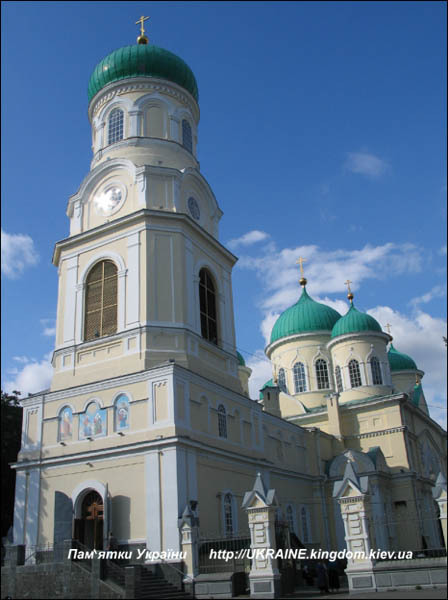 Together with construction of the new city the first stone was placed for construction of the first cathedral, Preobrazhensky cathedral. It was decided to choose the territory for Katerynoslavl’s foundation “where the Kilchenya River flows into Samara, three versts away from a well-known historical Staro-Samarsky retrenchment or Bohorodytsa fortress”. Prince Potyomkin was engaged into construction of the new city. He reported in the business letters to Catherine the Second about it. The third capital was founded on a high hill. 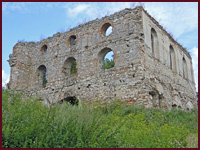 Potyomkin was writing “cathedral of Preobrazhennya Hospodnego (Transfiguration of Christ) resembled St. Pavel” and the new city was associated with Athens Acropolis. 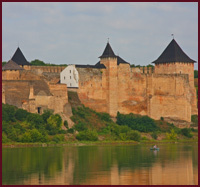 In 1786 Catherine the Second approved the first design of Katerynoslavl officially. Its author became French architect Klod Gerua. Architect Ivan Starov was engaged into construction of city later. After the death of Catherine II authorities did not take an interest in the city. 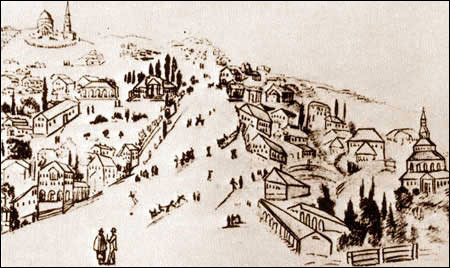 According to order enacted by Pavel the First of 1797 city got a new name Novorosiysk. At the same time with the order construction was prohibited in the Novorosiysk Empire. Thus a period of city’s development ended. Another Tsar, Olexandro the First renewed the first name of city. The foundation of cathedral could be compared with a birth of child. As for “father”, candidates were Gerua and Starov. 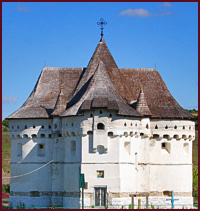 But Gerua managed to make a foundation and Starov wanted to place cathedral on the one line with the Potyomkinsky Palace but in this case cathedral had to be built for 80 meters further from a place the first stone was put. It had been lasted for 43 years! 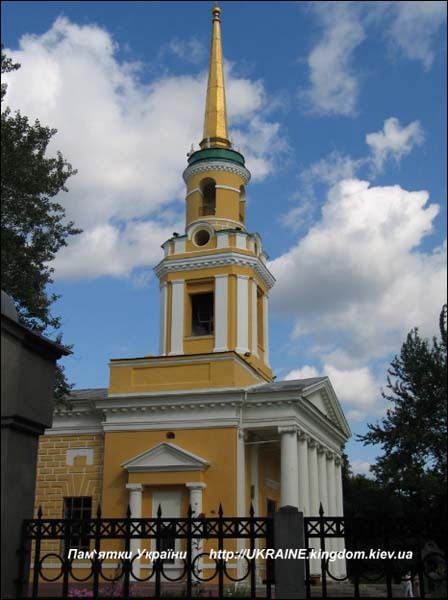 Mykola I constructed the Preobrazhensky cathedral on the place planned by his grandmother in 1830. 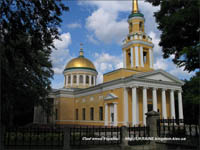 Although project of architect Zakharov existed already in the early years of 19th century, and Oleksandr I approved it, war prevented cathedral’s construction and then buildings made of stone were prohibited. 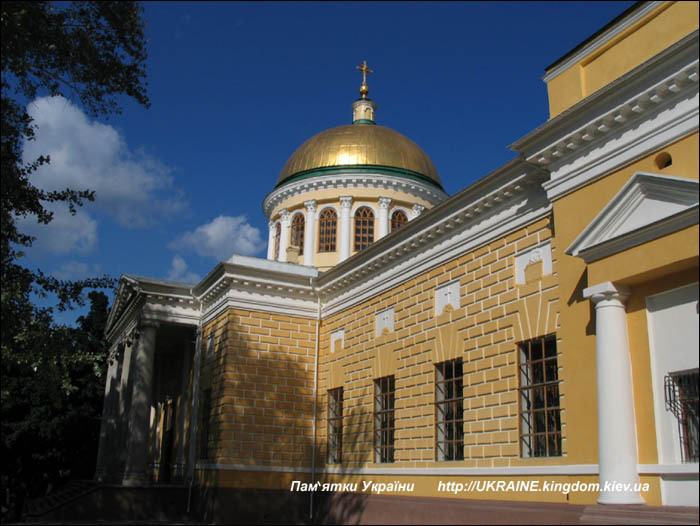 When at last church was planned to be built up, the problem appeared with a place for temple until Mykola I ordered to build it near the first stone. Construction was based on the project of Andrian Zakharov. Only in 20th century the name of architect became known. By the way, there are no original plans of cathedral. 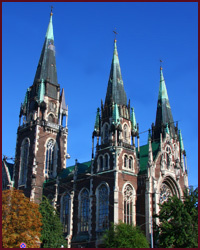 In 1835 cathedral was at last consecrated. Earthquake took place in 1888 and it damaged the temple – it caused cracks. It had not been for 100 years but in 20s years it was shut down and it transformed into anti-religious museum. Moreover, there were plans to ruin it! The upper part of the bell tower burned down during the World War Second. 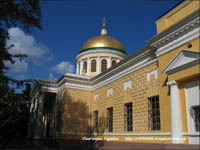 It was reconstructed in 1975 and after it it had been functioning as museum “of religion and atheism” till 1988. ЗThe temple was built up on the place of a destroyed old wooden church Kazanskoyi Bohomateri (the Kazan Virgin Church). New temple was designed by architects Bode and Visconti. In 1837 that place for construction was consecrated, in 60s years of 19th century the stone bell of tower was being built up also, later the temple and the bell of tower became united. Later the church and parish school had been found on that territory. In 1934 parish was liquidated, building was used as a shelter. 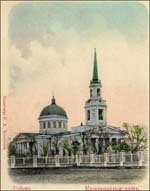 In 1942 the temple was open. In the middle of 50s years of 20th century exterior, interior of temple had been restored. Icons with a part of the Mauritian oak have been in the cathedral. Under it three travelers were met by Abraham. By the way, according to legend, while at least one branch of the Mauritian oak is alive, the world will exist. There are also icons of the Iver Kazan Virgin and two crosses with remains of relics belonged to the Orthodox Saints are also in the temple. Also iconostasis of the Kazan church and sepulcher of the Bryansky Cathedral have been kept also in the cathedral.